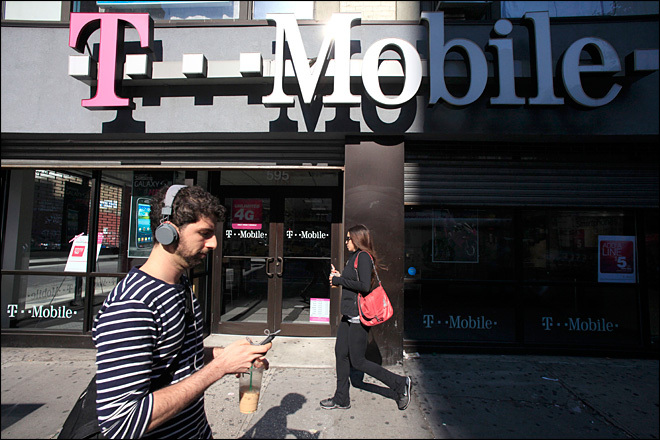 (P1) Hackers have stolen personal information on about 15 million T-Mobile US customers and applicants. (P2) The BREACH was at a unit of the CREDIT AGENCY Experian, which T-Mobile uses to process information on subscribers. (P3) Names, birth dates, and social security numbers are among data stolen, but not financial details, the firms said. (P4) Chief executive John Legere said his company would review its link with Experian. (P5) “Obviously I am incredibly angry about this data breach,” he said. (P6) Subscribers who were CREDIT-CHECKED between 1 September 2013 and 16 September 2015 are most AT RISK. (P7) In a statement, Mr Legere said: “I take our customer and PROSPECTIVE customer privacy very seriously. This is no small issue for us. (P8) “I do want to assure our customers that neither T-Mobile’s systems nor network were part of this INTRUSION, and this did not involve any payment card numbers or bank account information. (P12) It was unclear when the breach was discovered, but Experian said the matter was reported to the authorities immediately it learned of the hack. (P13) The company said in a statement: “We continue to investigate the theft, closely monitor our systems, and work with domestic and international law enforcement. Investigation of the incident is ongoing. (P15) The firm said there “is no evidence that the data has been used inappropriately”. (P16) There have been a string of HIGH-PROFILE hacks of businesses and other organisations in recent years affecting millions of people, including ADULTERY website Ashley Madison, Sony Pictures, and retailers such as Home Depot, Target, and eBay. (P17) T-Mobile is now the third biggest mobile firm in the US, having SURPASSED Sprint this year. If your personal data was COMPROMISED, would you keep or change a service provider like T-Mobile? Companies and institutions seem POWERLESS to do much about hacking and security breaches. But why are they powerless? Experian is one of the three major U.S. consumer credit agencies that report information about consumers’ financial histories, and their reports can affect whether someone gets a job or an apartment. Do agencies like this have too power? How DEPENDENT are you on your cellular phone – extremely, moderately, or not at all?